04 Dec 2018 --- The National Health Service of England (NHS) is set to double the size of its Diabetes Prevention program and has unveiled a pilot Type 2 diabetes remission plot, motivated by a study endorsed by Diabetes UK. The study coined DiRECT set out to find if a low-calorie liquid diet can put Type 2 diabetes into remission. Led by Professors Mike Lean and Roy Taylor, Diabetes UK says it is the largest research study it has funded to date. The pilot Type 2 remission program will begin in the coming year. Further details have not been announced but it will include 5000 people, who will follow low-calorie diets. Additionally, the NHS plan to double the size of the Diabetes Prevention program intends to treat 200,000 people every year from this year on, reports the organization. 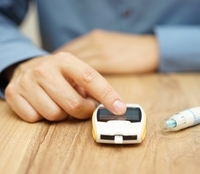 “Plans to double the size of the NHS Diabetes Prevention program are excellent news. The program is already the largest of its kind globally and shows England to be a world leader in this area. The ambition being shown by the NHS needs to be matched across all government policy. We need stronger action on marketing to children, and clearer nutritional labeling to support people to make healthy choices,” adds Askew. The UK seems set on tackling health issues that can be controlled by the right preventative measures. Last month, London’s Mayor Sadiq Khan announced a scheme to ban fast food ads across the British capital’s entire transportation network, Transport for London (TfL). To tackle childhood obesity in the British capital, advertisements of food and drinks that are high in salt, sugar and fat will be banned in the Underground, Overground, buses and bus stops. The ban will come into effect on February 25, 2019, and has “overwhelming support from Londoners,” according to Khan.